The Philippine Bureau of Immigration may be asking more questions of foreigners entering the Philippines. Arriving at the Ninoy Aquino International Airport? Other PH international airports, and seaports? Be prepared. “Foreigners Entering Philippines Face Increased Scrutiny.” Due to two recent bomb attacks, one in Jolo, Sulu, and another in Zamboanga City, you may face possible delays as Immigration officials increase their inspection of visitors. 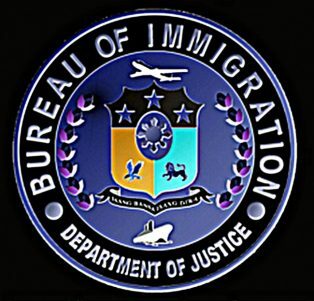 “I have instructed our Port Operations Division to alert all its personnel and be on the lookout for suspected foreign terrorists who might attempt to enter the country,” BI Commissioner Jaime Morente said in a press release. BI Commissioner Morente said immigration officers assigned at the ports are to be doubly vigilant in screening arriving foreign travelers. The Commissioner wants each immigration official to make sure all visitors have legitimate purposes for entering the country. BI Port Operations Division Chief Grifton Medina has also issued directives in conjunction with Commissioner Morente’s instructions. Division Chief Medina has directed all immigration officers conducting primary inspection of passengers in the ports of entry to be extra meticulous in performing their duties. “They were told to be careful in scrutinizing travel documents that are presented to them during primary inspection as it is highly probable that foreign terrorists might attempt to use fake passports and visas to slip into the country,” he added. Members of the travel control and enforcement unit (TCEU) and border control and intelligence unit (BCIU) have also been ordered to be extra vigilant in the performance of their duties. At least 23 people have been killed and over 100 injured in the latest attacks.